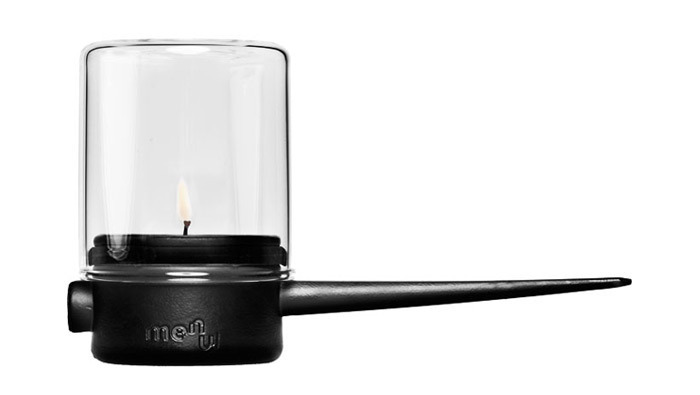 This well-made, cast iron tealight torch can be hammered into a tree or any other wood surface to softly light an outdoor area. I really like the design. Available from Kaufmann Mercantile Store for $39 each.